Some time ago the author of the upcoming book Famous Family Nights asked me to write a little bit about Family Home Evenings (FHE) in our home to be featured in a book with other “famous” LDS personalities. (I think she’s stretching the “famous” thing just a bit! 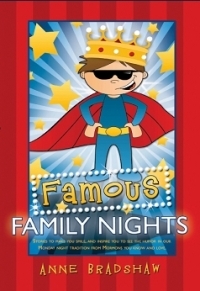 : ) Famous Family Nights is now available on our Strengthening Marriage Online Store. 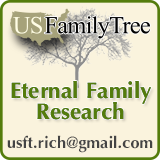 I’m sure it will provide many ideas and insights into making family nights even more enjoyable and valuable for the whole family. But most of all I think it will relieve everyone to see that FHE can be a challenge sometimes for anyone! For those who may not be familiar with Family Home Evenings, it is a night (usually Monday night) set aside by families to spend time together learning about the Gospel of Jesus Christ and doing other activities that “strengthen the family spiritually, create family memories, and increase unity and love.” You can learn more about FHE here or here. To learn more about this fun and informative new book click here. The author/editor, Anne Bradshaw, is currently having a drawing on her website (until Wednesday, July 22nd) for a free copy of the book And They Were Not Ashamed — Strengthening Marriage through Sexual Fulfillment and our talk on CD Love 101 — Learning to Love More Meaningfully. 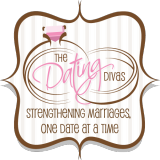 Visit her website to find out more and enter her free giveaway.